The Vitaly Rules referral spam in Google Analytics is a new breed of problem. This page is dedicated to eradicating it from your GA statistics. If you have run into a case of Vitaly Rules referral spam, this page is just what you need. Here, we will aim to tell you everything you will ever need to know about referral spam in general and Vitaly Rules specifically. But more importantly, we will inform you on how you can remove this nuisance from your stats and block the spammers. For that purpose we’ve designed a removal guide, which you will find at the bottom of this page. it’s written in step-by-step format and the instructions should be fairly easy to follow. But if you happen to come across any difficulties, please leave us a comment describing your problem in the comment section below. However, before rushing over to the guide, we do recommend that you spend a couple of minutes to read the next few paragraphs. First of all, it’s important to distinguish the existing subtypes of referral spam. Vitaly Rules belongs to the subtype of ghost spam, which is the more modern and frequently encountered version. However, there’s an older subtype, nowadays referred to as classic referral spam. Both subtypes are essentially after the same goal, and even use the same approach to achieve it, only by different means. Both types seek to popularize a given website, by attracting traffic to it, thus boosting its ranking. And for this purpose, again, both types would target other website owners as their ‘audience’. In the case of classic referral spam, though, spammers would employ the help of bots and crawlers, which they would send over to the targeted websites. The visits would of course show in the victim’s traffic count, but would appear to have nearly 100% bounce rate and practically no session time. This was done to play on the target’s curiosity. So, the website owner would see this strange behavior and would ideally click back to check this mysterious visiting website out. And that’s where the spammers will have gotten their way: that website owner just generated traffic for them. Now picture this going on a massive scale. That could potentially have a pretty substantial impact on one’s traffic count and thus website ranking and where it shows up in Google’s search results. However, classic referral spam was doomed, as the bots and crawlers couldn’t stand a chance against the superpower that is Google. So, at some point all of this came to a rapid stop and it’s pretty rare that you would come across cases of this subtype of spam. But that’s when its younger, improved version came to be: ghost spam, like Vitaly Rules. The spammers found a way to avoid using bots altogether and instead aimed straight for your Google Analytics stats. This was a brilliant move on their part, because not only are they now more difficult to detect, but they actually cause less damage than their older counterparts. So now, as opposed to before, you don’t have actual visitations, you only have the impression of those. An illusion, so to speak. The spammers enter false data into your GA stats and only make you think that you have been receiving strange views from some other website, again with little to no session time and high bounce rate. Though this practice will not harm your actual traffic count, however, it will still mess up your statistics and over time it will only get worse. You will at some point lose touch with your actual audience, because the image you will be receiving from GA will be completely distorted. No website owner and administrator would want that, because it can essentially kill your business. So, there are two things you should do in this case: 1) do NOT use the Referral Exclusion list – it will only make things a whole lot worse; 2) proceed to the instructions below to block Vitaly Rules. After you’ve done this, you may choose to invest in a better hosting provider, because this will in effect provide better protection against spam. Higher quality hosting usually means that it provides more effective spam blocking mechanisms, such as spam filters. Consider this especially if your website is involved in affiliate marketing. Affiliate networks usually pose as an easy target for referral spammers, so it’s usually only a matter of time until they find a weak link in the chain and start harassing others in it. 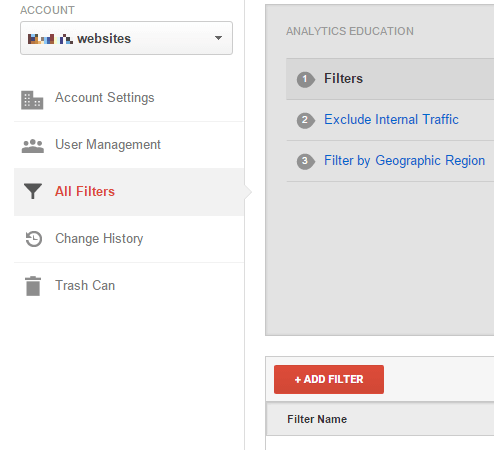 STEP 2: Next, click New Filter and add Vitaly Rules in the Filter Name value. STEP 3. Select the Custom Filter Type. In the Filter Field —> Campaign Source. In the Filter Pattern text box, add Vitaly Rules and click the Save button at the bottom of the webpage. What about the first step from the guide? 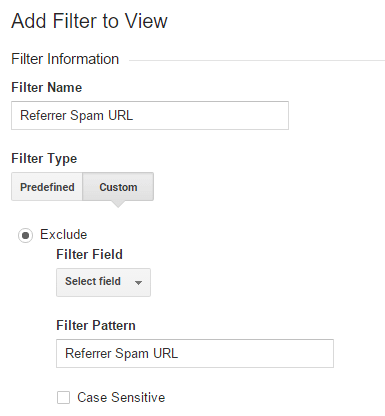 Did adding the spam URL to the filter yield any results?